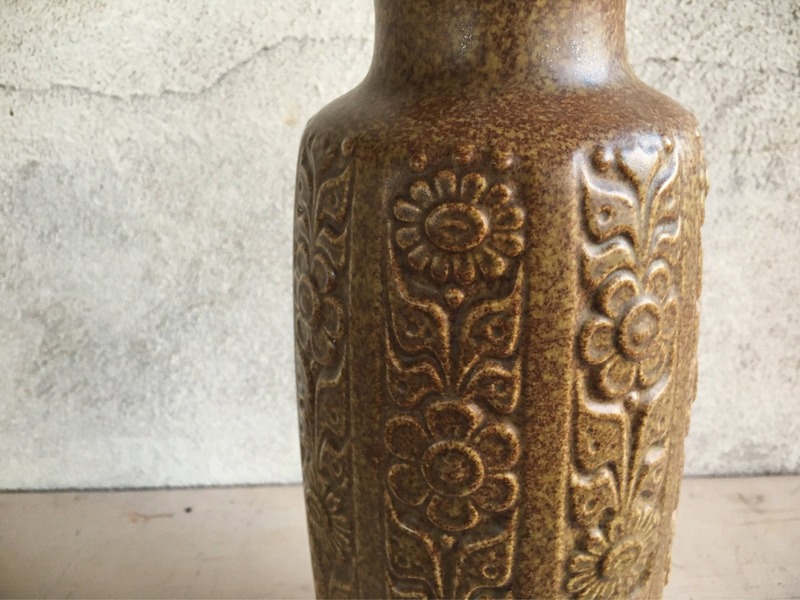 This vintage Scheurich vase in flower design is a warm brown-yellow color that I would describe as caramel or ochre, earthy and rich. 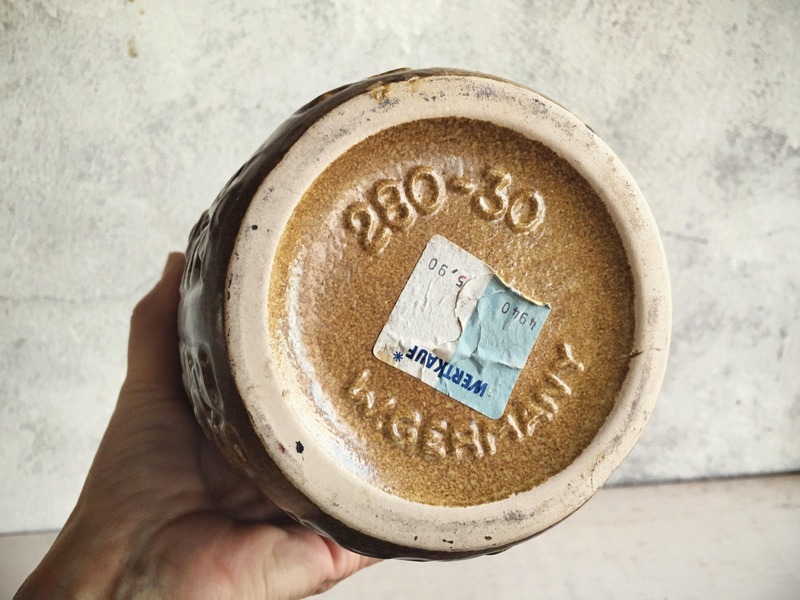 What makes it stand out from other of this style 280-30 is the speckling in the glaze. 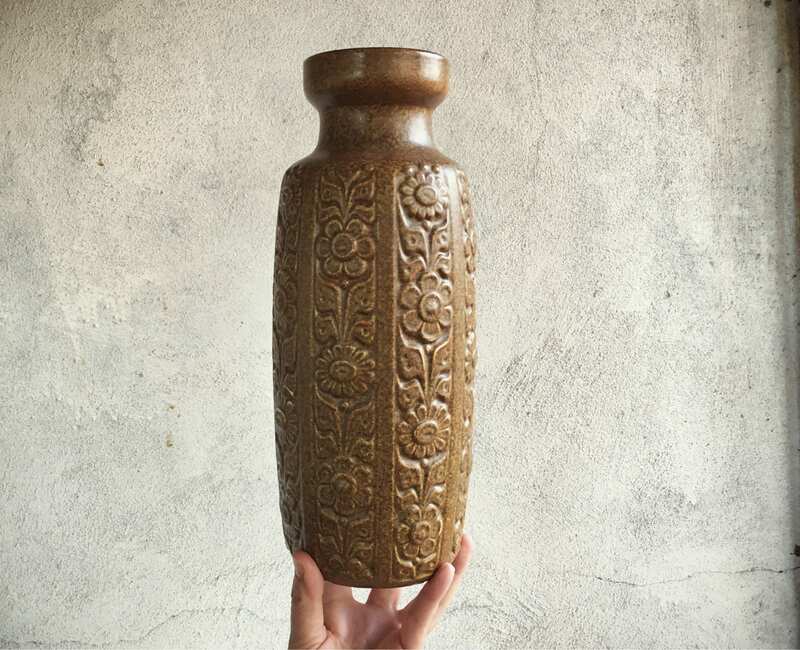 This style is a large vase although not as big as the floor vases of the same pattern. 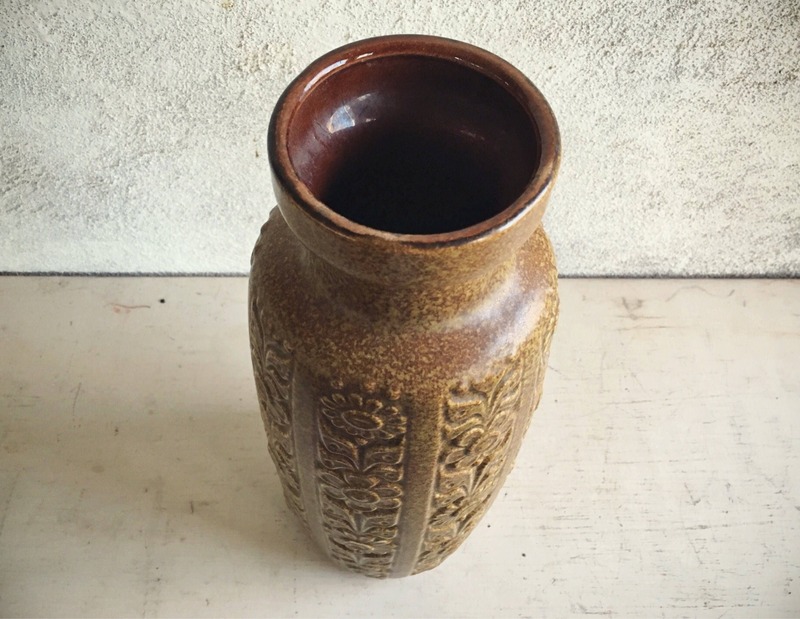 Would be perfect as an accent piece on a midcentury modern sidebar table or grouped with other West German pottery vases of the same era and narrow profile. Still has the original price tag on the bottom, telling us it was purchased at a Wertkauf in West Germany. It also tells us that this vase was well cared for, not immersed in water and not set in a place where grime set in, as the label is still fairly clean although definitely not pristine. 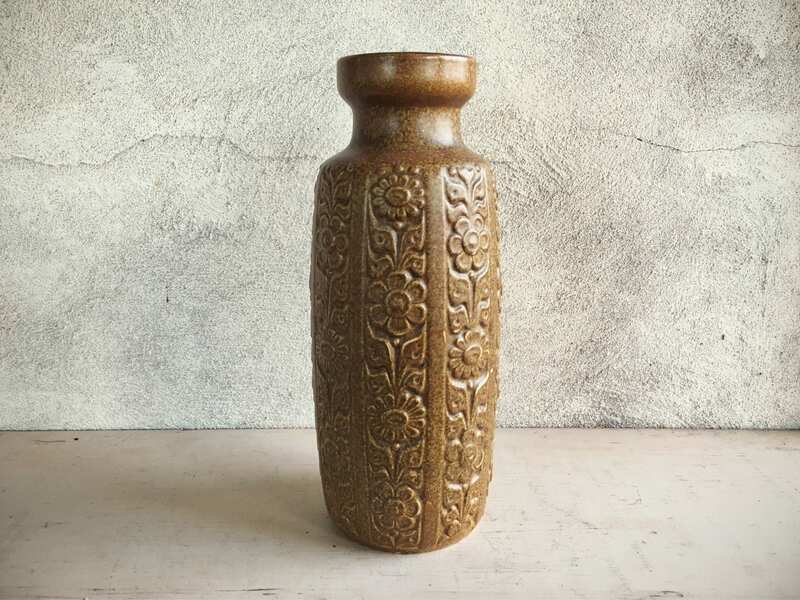 The vase does have an area on one side where it looks like it was rubbing up against something else, causing the glaze to rub off down to the lighter colored ceramic layer. Measures 12-1/4" tall with a base 4" in diameter and a mout about 3-1/4" in diameter. In good vintage condition. Great piece of collectible West German pottery.